Don’t let your new years resolutions fade. Instead, get re-energized with new music, out today. A notorious pop-punk band returns for their final act, a songstress Bares her soul and an illustrious guitarist steps into the spotlight. If you were a pop-punk fan in the early 2000’s you know and likely have a large place in your heart for Say Anything. The band is known to capture attention with blunt and raw honesty, smart lyrics and unique sound. Their new album from Dine Alone Records, Oliver Appropriate, follows a fictional character thought up by the group’s mastermind, Max Bemis, and follows the story of the woeful burnout. In usual Say Anything-style, the album features a variety of textures, from plucky and upbeat to gritty punk and melodic hymns. Bemis delivered “A Goodbye Summation” last Fall, which details his battles with drug abuse, post-traumatic stress disorder and anxiety and his motivations to overcome his demons. In the same letter, he discussed that this would likely be the end of an era for Say Anything and that he no longer wishes to keep touring at this time while he focuses on his mental health. While it’s sad to recognize this album as a final act, health and happiness come first. In the meantime, we will continue to cherish any music we receive from this intense wordsmith. Most artists who get signed at a young age are consumed by influence of a large label and succumb to the ways of the music industry. Rosie Carney is not that kind of artist. Instead, she’s stood up for her music, and her fans have too. Already with over 1.8 million monthly listeners on Spotify, it’s hard to believe this 20-year-old is just now releasing her debut album. In partnership with independent label, Akira Records, Bare is 100% Rosie. Earmilk‘s album review states, “Bare has an easy ebb and flow. The album on the whole has a conversational phrasing, with swells and lulls that imbue the music itself with the ever-present empathy of its writer.” It’s apparent Bare describes both the essence and texture of the release. Listen to Bare now to hear the honesty behind every note. Today, Keuning drops his debut album Prismism via Pretty Faithful/Thirty Tigers. 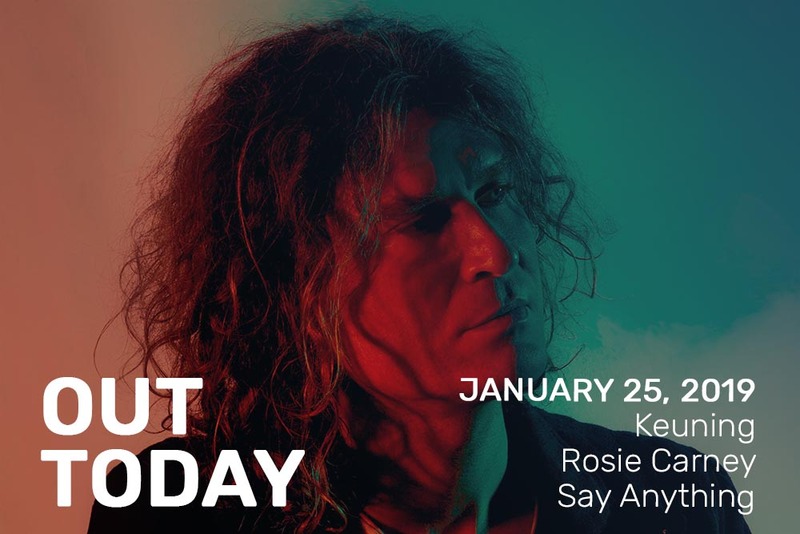 This may be his first album but you’re certainly already familiar with Keuning who’s guitar stylings backdrop The Killers. As a founding member, Dave Keuning has taken time between his busy schedule with The Killers to experiment with his own music. Prismism was created alongside Imagine Dragons producer Brandon Darner and depicts Keunings musical crossroads in the form of a “psychic diary.” NME describes the album, “Ducking between The Killers’ sumptuous, ’80s-steeped synth-pop, desert rock, electro-Strokes dynamism and melodic laptop experiments, ‘Prismism’ hints at turbulent waters beneath Keuning’s steely, homebody demeanour.” Find Prismism, available across retailers now. That’s all for now! We’ll see you next week. In the meantime, keep listening.